Join the longest-running festival on the Oregon Coast! Bandon’s annual harvest festival started in 1947. 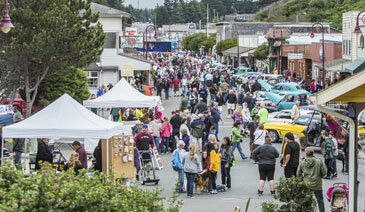 The festival draws the largest attendance of any Bandon community event. And, 2016 was a record-setting year, with approximately 15,000 residents and visitors in town through the weekend. 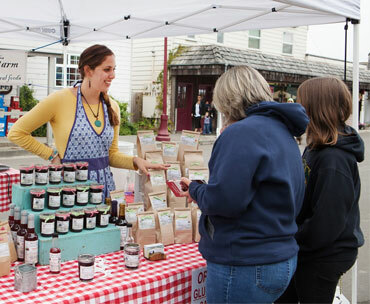 Cranberry Festival activities, food and vendor market areas are centered in Bandon’s Historic Old Town on the Coquille River waterfront. Download packets for Artists, Crafters, and Food Vendor Booths, Nonprofit Booths, Parade Entries, and the Cranberry Kitchen (formerly known as “Queen of the Kitchen”). Feel free to contact the Bandon Chamber of Commerce for more information. “What a charming town . . . to open up and welcome all residents and visitors to celebrate together in a safe and fun environment . . . . The entire weekend was great! … Thank you and the entire chamber for all the work and planning that goes into putting together such a tremendous event. We just came home tonight and are already making plans for next year. 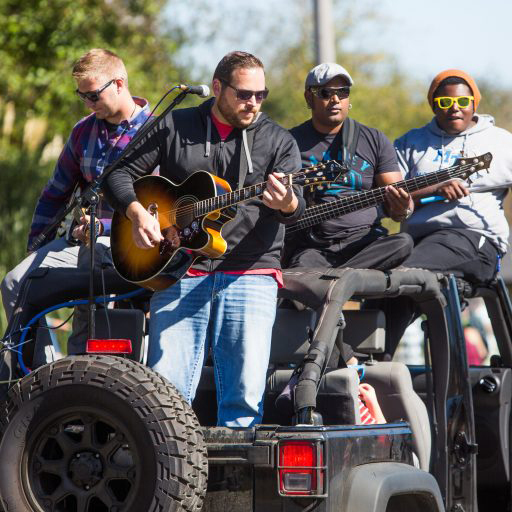 Festival Marketplace Hours: 10 a.m. to 5 p.m. Saturday , and 10 a.m. to 4 p.m. Sunday. We welcome applications for booth space from food, beverage, artists, and hand-crafted product vendors. In order to maintain the quality of our festival, all booth entries are juried and the number of entries is limited. We invite nonprofit organizations to take advantage of complimentary booth space at the Bandon Cranberry Festival in exchange for providing a family-friendly activity. 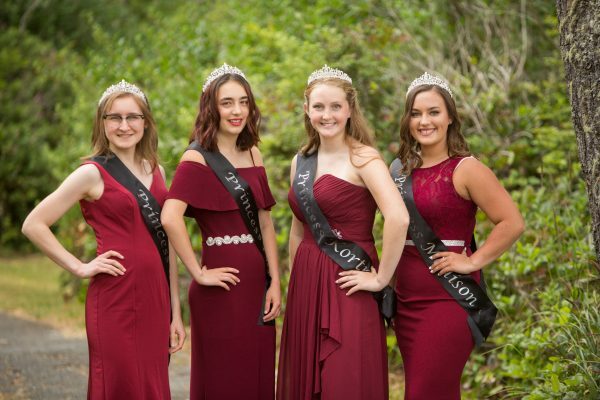 The Cranberry Court is an opportunity for Juniors from Bandon and Pacific High Schools to earn scholarships, gain life skills, and become representatives for the Bandon Cranberry Festival. Throughout the year, the court will make many public appearances at events around Coos County. They will also receive training to refine their skills in public speaking, talent, and pageantry, to ultimately compete to be crowned as Cranberry Queen at our coronation ceremony on Thursday, September 12th, 2019. 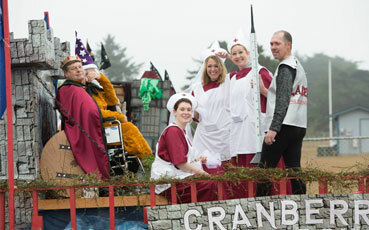 Cranberry cooks of all ages are invited to whip up something tasty to showcase during the Cranberry Festival. 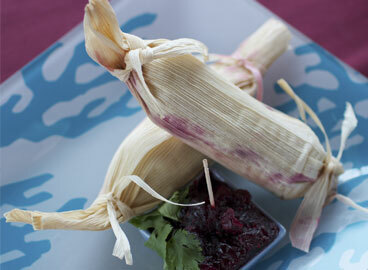 Contestants may enter adult or youth categories with sweet or savory dishes. Multiple ribbons are awarded and the overall winner is crowned Queen or King of the Kitchen. Please call Jan Hester at 541-297-9299 for more information. Register at the festival for the Cranberry Eating Contest and Corn Hole Contest. The Cranberry Cruise-IN Car Show features classic cars & trucks, all years, makes, models. More information COMING SOON!